Tag Archives: 2011 ASCO Annual Mtg. Exelixis, Inc. reported expanded Phase 2 study data with respect to cabozantinib (XL184) use in advanced ovarian cancer patients at the recent 2011 American Society of Clinical Oncology Annual Meeting. The overall solid tumor Phase 2 safety and tolerability data reference six deaths, including two ovarian cancer patients. Exelixis, Inc. reported expanded Phase 2 study data with respect to cabozantinib (XL184) use in advanced ovarian cancer patients at the 2011 American Society of Clinical Oncology (ASCO) Annual Meeting . The overall solid tumor Phase 2 safety and tolerability data refers to six deaths, including two ovarian cancer patients. On May 19, 2011, we reported promising cabozantinib phase 2 solid tumor (including ovarian) data, which was presented at an ASCO press briefing held in advance of the 2011 ASCO Annual Meeting. As noted in our May 19 article, cabozantinib demonstrated excellent activity against several solid tumors, including ovarian cancer. In addition, we reported that cabozantinib showed promising activity in ovarian cancer patients independent of prior response to platinum drug-based therapies. Ronald J. Buckanovich, M.D., Ph.D., Assistant Professor, Departments of Internal Medicine & Obstetrics and Gynecology, University of Michigan, presented the expanded cabozantinib Phase 2 data relating to use of the drug in advanced ovarian cancer patients, on June 4 at the 2011 ASCO Annual Meeting. The cabozantinib trial is an ongoing phase 2 adaptive randomized discontinuation trial. As of the February 11, 2011 cut-off date, accrual in the cabozantinib study cohort was complete at 70 patients. The 70 patients enrolled in the ovarian cancer cohort received oral cabozantinib (100 mg) daily over a 12 week “Lead-in Stage.” These patients had a minimum follow-up of at least 12 weeks and were thus evaluable for safety and the primary efficacy endpoint of response per RECIST (Response Evaluation Criteria in Solid Tumors). Patient tumor response was assessed every 6 weeks. Receipt of cabozantinib treatment beyond the 12 week open label Lead-in Stage was based upon patient response: (1) patients with a partial response (PR) or complete response (CR) continued taking cabozantinib, (2) patients with stable disease (SD) were randomized to the cabozantinib treatment arm or the placebo treatment arm (collectively referred to as the “Blinded Randomized Stage”), and (iii) patients with progressive disease (PD) discontinued study treatment. The study primary endpoint was overall response rate (ORR) per RECIST in the Lead-in Stage, and progression free survival (PFS) in the Blinded Randomized Stage. Accrual in any cohort could be halted for high ORR or PD. Approximately half of the 70 patients enrolled in the cohort were considered platinum drug-refractory/-resistant (49%), defined as a platinum drug-free interval of 6 months or less, and the remainder of patients (51%) had platinum-sensitive disease based on a platinum-free interval greater than 6 months. More than half the patients (57%) received 2 or more prior lines of platinum therapy prior to trial enrollment. Some patients also had additional prior lines of therapy with agents such as pegylated liposomal doxorubicin (brand name: Doxil®) or topotecan (brand name: Hycamtin®) (32%), gemcitabine (brand name: Gemzar®) (29%), and VEGF (vascular endothelial growth factor) pathway inhibitors (10%). Evidence of objective tumor regression was observed in 73% of patients with at least 1 post-baseline medical imaging scan. The best overall response rate per RECIST criteria was 24% (16 PRs and 1 CR). The overall Week-12 disease control rate (DRC = CR + PR + SD) was 53%. The Week-12 DCRs in the platinum drug-refractory, -resistant, and -sensitive groups were 36%, 39%, and 67%, respectively. Based on an observed high rate of clinical activity, randomization was halted, and randomized patients were unblinded. At this point, the unblinded randomized patients that were treated with placebo were allowed to “cross-over” to treatment with cabozantinib. Disease stabilization was experienced by some ovarian cancer patients who had progressive disease prior to treatment cross-over. Two of 11 patients (18%) with platinum refractory disease, defined as a platinum-free interval of <1 month, achieved a confirmed response (1 CR and 1 PR). In the subset of patients with platinum-resistant disease, defined as a platinum-free interval of 1-6 months, 5 of 23 (22%) achieved a PR. Ten of 36 patients (28%) with platinum sensitive disease achieved a PR. A total of 37 patients experienced reductions in the ovarian cancer tumor marker CA-125 (cancer antigen-125), including 8 with decreases greater than 50%. There is no consistent concordance between CA-125 changes and tumor regression. The median duration of response has not yet been reached with 36 weeks of median follow-up. Safety data are available for the 70 patients in the Lead-In phase of the cabozantinib study. The most common CTCAE (Common Terminology Criteria for Adverse Events) grade 3 or 4 adverse events (AEs), regardless of causality, were diarrhea (10%), fatigue (9%), palmar-plantar erythrodysesthesia syndrome (also referred as “hand-foot syndrome”)(7%), vomiting (4%), abdominal pain (3%), hypomagnesemia (3%), and nausea, constipation, rash, increased transaminase, and hypertension (each 1%). At least one dose reduction was reported in 37% of patients. Less frequent important medical events, regardless of causality, were hemorrhage (11% all CTCAE grades, 0% CTCAE grade 3 or 4), venous thrombosis (6% all CTCAE grades, 4% CTCAE grade 3 or 4), and gastrointestinal perforation (6% all CTCAE grades, 0% CTCAE grade 3 or 4). We should also note that the two ovarian cancer deaths were summarized briefly in the ASCO presentation regarding cabozantinib use in advanced ovarian cancer. Exelixis Chief Executive Michael Morrissey said the safety statistics are consistent with targeted cancer therapies like cabozantinib that block a pathway used by tumor cells to secure blood vessels. “While drug safety is of less concern in cancer indications than in others, the apparent morbidities associated with cabo[zantinib] use will confound interpretation of clinical benefit in a trial designed to show anything less than overall survival,” Canaccord analyst George Farmer said in a research note. Mr. Morrissey said Exelixis plans to move forward with the current daily 100 mg dose of the drug. Cabozantinib demonstrates promising activity in both platinum drug-sensitive and platinum drug-resistant/-refractory ovarian cancer. Week 12 overall disease control rate of 53%. Response rates of 18% in platinum-refractory, 22% in platinum-resistant and 28% in platinum-sensitive patients. Cabozantinib shows encouraging duration of response. After 36 weeks of follow-up, median duration of response not reached. Tolerability profile is consistent with that of other tyrosine kinase inhibitors (6 solid tumor patient deaths (1% of all solid tumor pts), including 2 ovarian cancer patients (3% of ovarian cancer pts)). Discordant effects observed between CA-125 changes and clinical activity. Simultaneous targeting of MET and VEGFR2 with cabozantinib results in robust effects in patients with advanced ovarian cancer. Non-randomized expansion cohort is currently accruing in platinum-resistant/-refractory ovarian cancer. 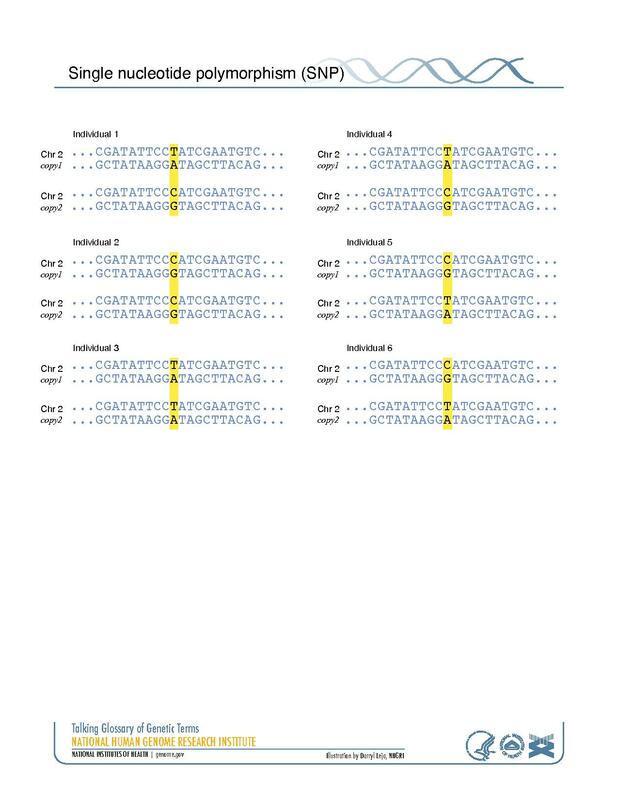 To learn more about (i) the role of MET in cancer, (ii) the relationship between the MET and VEGFR pathways, and (iii) the dual inhibition of MET and VEGFR2, visit http://www.metinhibition.com/. Cabozantinib (XL184) is a potent, dual inhibitor of MET and VEGFR2. Cabozantinib is an investigational agent that provides coordinated inhibition of metastasis and angiogenesis to kill tumor cells while blocking their escape pathways. The therapeutic role of cabozantinib is currently being investigated across several tumor types. MET is upregulated in many tumor types, thus facilitating tumor cell escape by promoting the formation of more aggressive phenotypes, resulting in metastasis. MET-driven metastasis may be further stimulated by hypoxic conditions (i.e., deprivation of adequate oxygen supply) in the tumor environment, which are often exacerbated by selective VEGF-pathway inhibitors. In preclinical studies, cabozantinib has shown powerful tumoricidal, anti-metastatic and anti-angiogenic effects, including: (i) extensive apoptosis of malignant cells; (ii) decreased tumor invasiveness and metastasis; (iii) decreased tumor and endothelial cell proliferation; (iv) blockade of metastatic bone lesion progression; and (v) disruption of tumor vasculature. Buckanovich R.J., Berger R, Sella A, et. al. Activity of cabozantinib (XL184) in advanced ovarian cancer patients (pts): Results from a phase II randomized discontinuation trial (RDT). J Clin Oncol 29: 2011 (suppl; abstr 5008)(2011 ASCO Annual Meeting). A Randomized Discontinuation Study of XL184 in Subjects With Advanced Solid Tumors, Clinical Trial Summary, NCT00940225, http://www.ClinicalTrials.gov. Exelixis shrs fall on cancer drug safety concerns, Reuters (U.S. Edition), June 6, 2011. Exelixis’ Cabozantinib Demonstrates Encouraging Clinical Activity in Patients with Metastatic Ovarian Cancer — Disease control rate of 53% at week 12, response rate of 24% .Median duration of response not yet reached, Press Release, Exelixis, Inc., June 4, 2011. Exelixis’ Cabozantinib Demonstrates Broad Clinical Activity in Multiple Tumor Types — Resolution of metastatic soft tissue, visceral, and bone lesions observed in randomized discontinuation trial, Press Release, Exelixis, Inc., June 5, 2011. A list of open ovarian cancer and solid tumor clinical trials involving cabozantinib. ASCO 2011: Novel Multi-targeted Agent Cabozantinib (XL184) Has Significant Effect on Several Advanced Solid Tumors, May 19, 2011. Exelixis Reports Promising Interim Data From Ovarian Cancer Patients Treated With XL184, November 18, 2010. Cabozantinib (XL184) : Dual Inhibition of MET & VEGF – Exelixis, Inc., June 10, 2011. EC145, in combination with pegylated liposomal doxorubicin (Doxil®/Caelyx®) in patients with platinum-resistant ovarian cancer, met its primary endpoint by showing an 85 percent (2.3 month) improvement in median progression-free survival in the intent-to-treat population, and a 260 percent (4.0 month) improvement in a subset of folate receptor positive patients. 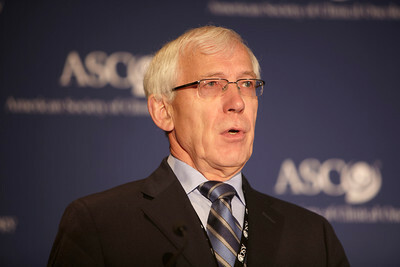 The final EC145 phase 2 clinical study data were presented today at the 2011 American Society of Clinical Oncology Annual Meeting. Endocyte, Inc., a biopharmaceutical company developing targeted small molecule drug conjugates (SMDCs) and companion imaging diagnostics for personalized therapy, today announced that the phase 2 PRECEDENT trial, which is investigating the company’s lead drug candidate, EC145, in combination with pegylated liposomal doxorubicin (PLD)(brand name: Doxil®/Caelyx®) in patients with platinum-resistant ovarian cancer, met its primary endpoint by showing: (i) an 85 percent (2.3 month) improvement in median progression-free survival (PFS) in the intent-to-treat population, and (ii) a 260 percent (4.0 month) improvement in a subset of folate receptor positive patients. EC145 in combination with PLD showed limited additional toxicity compared to standard therapy with PLD alone. The most commonly occurring adverse events were neutropenia, small intestine obstruction, and palmar-plantar erythrodysesthesia (or hand-foot syndrome). EC145 is a therapeutic that targets the folate receptor and EC20 is a companion imaging diagnostic used to assess folate receptor presence. These final PFS data from the PRECEDENT trial were presented today at the 2011 Annual Meeting of the American Society of Clinical Oncology (ASCO), in Chicago, Illinois and are available at http://investor.endocyte.com/events.cfm. The Phase 2 PRECEDENT trial was an international, multi-center, randomized study of 149 women with platinum-resistant ovarian cancer. Patients were randomized to receive EC145 plus PLD or PLD alone at a standard dose until disease progression or death. The primary endpoint of the study was progression-free survival. Secondary endpoints included response rate and overall survival. The EC145 phase 2 PRECEDENT trial results are summarized below. Patients receiving EC145 in combination with PLD, regardless of folate receptor expression, had a median progression free survival of 5.0 months compared to 2.7 months for patients receiving single agent PLD. The hazard ratio for PFS was 0.626 (p=0.031). The overall response rate was 28 percent in the EC145 combination group versus 16 percent in the PLD-alone group. CA-125 (cancer antigen-125) responses were also more common in patients receiving EC145 in combination with PLD compared to those receiving PLD alone, with response rates (based on CA-125 blood serum measurement) of 38 percent and 19 percent, respectively. The study also utilized EC20, an investigational companion imaging diagnostic that is designed to identify patients with folate receptor positive tumors. As expected, in the folate receptor positive patients the improvement in PFS was even greater. In the subpopulation most positive for the folate receptor, PFS increased 4.0 months from 1.5 months to 5.5 months. The hazard ratio for PFS was 0.381 (p=0.018). This represents more than a 60 percent reduction in the risk of progression and provides evidence supporting the mechanism of action through targeting of the folate receptor. The overall response rate was 22 percent in the EC145 combination group versus 7 percent in the PLD alone group. CA-125 responses were also more common in patients receiving EC145 in combination with PLD compared to those receiving PLD alone, 43 percent and 13 percent, respectively. As a result of Endocyte’s interaction with the European Medicines Agency (EMA), including a meeting with the Scientific Advice Working Party and written advice from the Committee for Medicinal Products for Human Use (CHMP), the Company will prepare marketing applications for both EC145 and EC20. Based on feedback from the CHMP, Endocyte plans to seek conditional marketing authorization for patients with platinum-resistant ovarian cancer who test positive for the folate receptor using the EC20 companion imaging diagnostic. Endocyte recently announced the initiation of patient enrollment in the Phase 3 PROCEED trial of EC145, which is structured to replicate the PRECEDENT trial design. The Phase 3 trial is a randomized, double-blinded trial of EC145 in combination with PLD compared to PLD plus placebo. The patient population — those with platinum-resistant ovarian cancer — will be the same as in the PRECEDENT trial, and the primary endpoint will be progression-free survival in patients selected by EC20 as folate-receptor positive. The trial will also be statistically powered for overall survival as a secondary endpoint with projected enrollment in excess of 500 patients. The trial will be conducted in approximately 150 sites in the U.S., Canada, and Europe. More information regarding the trial is available at www.clinicaltrials.gov. EC145 is a conjugate of the vitamin folate and a super-potent vinca alkaloid. Folate is required for cell division and rapidly dividing cancer cells often over-express folate receptors in order to capture enough folate to support cell division. By attaching a chemotherapy drug to folate through proprietary chemistry, EC145 targets cancer cells while avoiding most normal cells. This targeted approach is designed to provide treatment with super-potent drugs while lowering toxicity compared to standard chemotherapy. EC20 is a folate-targeted molecular imaging agent that is being developed as a non-invasive method to identify tumors that over-express folate receptors. These tumors are the molecular target of Endocyte’s folate-targeted therapeutic compounds such as EC145. To date, EC20 has been administered to over 500 patients and has been found to be well tolerated. Endocyte is a biopharmaceutical company developing targeted therapies for the treatment of cancer and inflammatory diseases. Endocyte uses its proprietary technology to create novel small molecule drug conjugates (SMDCs) and companion imaging diagnostics for personalized targeted therapies. The company’s SMDCs actively target receptors that are over-expressed on diseased cells, relative to healthy cells. This targeted approach is designed to enable the treatment of patients with highly active drugs at greater doses, delivered more frequently, and over longer periods of time than would be possible with the untargeted drug alone. The companion imaging diagnostics are designed to identify patients whose disease over-expresses the target of the therapy and who are therefore more likely to benefit from treatment. Naumann RW, Coleman RL, Burger RA, et. al. PRECEDENT: A randomized phase II trial comparing EC145 and pegylated liposomal doxorubicin (PLD) in combination, versus PLD alone, in subjects with platinum-resistant ovarian cancer. J Clin Oncol 29: 2011 (suppl; abstr 5045). A Randomized Phase II Trial Comparing EC145 and Pegylated Liposomal Doxorubicin (PLD/Doxil/Caelyx) in Combination, Versus PLD Alone, in Subjects With Platinum-Resistant Ovarian Cancer (“PRECEDENT” Trial)(status: enrollment complete), Clinical Trial Summary, ID#: NCT00722592, http://www.ClinicalTrials.gov. A Randomized Double-Blind Phase 3 Trial Comparing EC145 and Pegylated Liposomal Doxorubicin (PLD/Doxil®/Caelyx®) in Combination Versus PLD in Participants With Platinum-Resistant Ovarian Cancer (“PROCEED” Trial) (status: recruiting patients), Clinical Trial Summary, ID#: NCT01170650, http://www.ClinicalTrials.gov. Mechanism of Endocyte ‘s EC145 Targeted Therapy, Libby’s H*O*P*E* Video Library, http://www.vodpod.com/libbyshopetm, May 26, 2011. Endocyte’s EC145 Produces Significant Anti-Tumor Activity In Advanced Stage Chemoresistant Ovarian Cancer Patients, October 21, 2009. Endocyte Begins Phase II Clinical Trial of EC145 for Treatment of Women with Platinum Resistant Ovarian Cancer, February 20, 2009. Women with the BRCA1 or BRCA2 gene mutations, which are linked to a very high risk of breast and ovarian cancer, can safely take hormone-replacement therapy (HRT) to mitigate menopausal symptoms after surgical removal of their ovaries, according to new research from the Perelman School of Medicine at the University of Pennsylvania which will be presented on Monday, June 6 during the American Society for Clinical Oncology’s annual meeting. Results of the prospective study indicated that women with BRCA mutations who had their ovaries removed and took short-term HRT had a decrease in the risk of developing breast cancer. Research has shown that in women who carry the BRCA gene mutations, the single most powerful risk-reduction strategy is to have their ovaries surgically removed by their mid-30s or early 40s. The decrease in cancer risk from ovary removal comes at the cost of early menopause and menopausal symptoms including hot flashes, mood swings, sleep disturbances and vaginal dryness — quality-of-life issues that may cause some women to delay or avoid the procedure. In the current study, Domchek, Rebbeck, and colleagues followed 795 women with BRCA1 mutations and 504 women with BRCA2 mutations who have not had cancer enrolled in the PROSE consortium database who underwent prophylactic oophorectomy, divided into groups of those who took HRT and those who did not. Women who underwent prophylactic oophorectomy had a lower risk of breast cancer than those who did not, with 14 percent of the women who took HRT after surgery developing breast cancer compared to 12 percent of the women who did not take HRT after surgery. The difference was not statistically significant. By contrast, Penn researchers and their collaborators in the PROSE consortium have shown definitively that oophorectomy reduces ovarian and breast cancer incidence in these women, and reduces their mortality due to those cancers. But paying attention to the role that hormone depletion following preventive oophorectomy plays in women’s future health is also important. Penn Medicine is one of the world’s leading academic medical centers, dedicated to the related missions of medical education, biomedical research, and excellence in patient care. Penn Medicine consists of the Raymond and Ruth Perelman School of Medicine at the University of Pennsylvania (founded in 1765 as the nation’s first medical school) and the University of Pennsylvania Health System, which together form a $4 billion enterprise. Penn Medicine is committed to improving lives and health through a variety of community-based programs and activities. In fiscal year 2010, Penn Medicine provided $788 million to benefit our community. Domchek SM, Friebel T, Neuhausen SL, et. al. Is hormone replacement therapy (HRT) following risk-reducing salpingo-oophorectomy (RRSO) in BRCA1 (B1)- and BRCA2 (B2)-mutation carriers associated with an increased risk of breast cancer? J Clin Oncol 29: 2011 (suppl; abstr 1501). Women with BRCA Mutations Can Take Hormone-Replacement Therapy Safely After Ovary Removal, Penn Researchers Report at ASCO, News Release, Penn Medicine, June 3, 2011. EntreMed, Inc. announced that ENMD-2076 demonstrated clinical activity — a six-month progression free survival rate of 19% — when administered as a single agent to platinum drug-resistant recurrent ovarian cancer patients. The announcement is based upon interim phase 2 data presented today at the 2011 American Society of Clinical Oncology Annual Meeting. EntreMed, Inc., a clinical-stage pharmaceutical company developing therapeutics for the treatment of cancer announced today the presentation of clinical data for its phase 2 study with ENMD-2076 in platinum drug-resistant recurrent ovarian cancer patients. The data were presented by the principal investigator for the study, Dr. Ursula A. Matulonis, medical director of gynecologic oncology at the Dana-Farber Cancer Institute and associate professor of medicine, Harvard Medical School, during a poster discussion session at the American Society of Clinical Oncology (ASCO) Annual Meeting being held June 3 – 7, 2011 in Chicago, Illinois. The trial was an open-label, single-arm, multicenter study of ENMD-2076 dosed orally as a single agent in patients with platinum-resistant recurrent ovarian, peritoneal or fallopian tubal cancer. The study was conducted at six sites in the United States and Canada and included the Dana-Farber Cancer Institute, Indiana University Melvin & Bren Simon Cancer Center, University of Chicago Medical Center, Memorial Sloan-Kettering Cancer Center, University of Colorado Cancer Center, and Princess Margaret Hospital. Sixty-four patients were enrolled, of which 57 were evaluable at the time of the presentation. The primary endpoint for the study was progression-free survival rate at six months. Secondary end-points include response rate, duration of response, and overall survival. ENMD-2076 demonstrated clinical activity when administered daily orally as a single agent. Interim data from 57 evaluable patients showed a six-month progression free survival rate of 19 percent. Of the evaluable patients, four patients achieved a partial response and 30 patients achieved stable disease as measured by RECIST v1.1. Median overall survival has not yet been reached. The side effect profile was consistent with activity against ENMD-2076’s molecular targets, in particular, VEGFR2 (vascular endothelial growth factor receptor-2) and Aurora A. Studies to evaluate potential markers of ENMD-2076 in this patient group are ongoing. ENMD-2076 is an orally-active, Aurora A/angiogenic kinase inhibitor with a unique kinase selectivity profile and multiple mechanisms of action. ENMD-2076 has been shown to inhibit a distinct profile of angiogenic tyrosine kinase targets in addition to the Aurora A kinase. Aurora kinases are key regulators of mitosis (cell division), and are often over-expressed in human cancers. ENMD-2076 also targets the VEGFR, Flt-3 and FGFR3 kinases which have been shown to play important roles in the pathology of several cancers. ENMD-2076 has shown promising activity in phase I clinical trials in solid tumor cancers, leukemia, and multiple myeloma. While ENMD-2076 is currently in a phase 2 trial in ovarian cancer, preclinical and clinical activities are ongoing in assessing the compound’s applicability in other forms of cancer. EntreMed, Inc. is a clinical-stage pharmaceutical company committed to developing ENMD-2076, a selective angiogenic kinase inhibitor, for the treatment of cancer. ENMD-2076 is currently in a multi-center phase 2 study in ovarian cancer and in several phase 1 studies in solid tumors, multiple myeloma, and leukemia. Matulonis UA, Tew WP, Matei D, et. al. A phase II study of ENMD-2076 in platinum-resistant ovarian cancer. J Clin Oncol 29: 2011 (suppl; abstr 5021). EntreMed’s ENMD-2076 Demonstrates Clinical Activity in Recurrent, Platinum-Resistant Ovarian Cancer Patients, Press Release, EntreMed, Inc., June 3, 2011. A Phase 2 Study of Oral ENMD-2076 Administered to Patients With Platinum Resistant Ovarian Cancer, Clinical Trial Summary, NCT01104675, http://www.Clinicaltrials.gov. Fletcher GC, Brokx RD, Denny TA, et. al. ENMD-2076 is an orally active kinase inhibitor with antiangiogenic and antiproliferative mechanisms of action. Mol Cancer Ther. 2011 Jan;10(1):126-37. Epub 2010 Dec 21. PubMed PMID: 21177375. Diamond JR, Bastos BR, Hansen RJ, et. al. Phase I safety, pharmacokinetic, and pharmacodynamic study of ENMD-2076, a novel angiogenic and Aurora kinase inhibitor, in patients with advanced solid tumors. Clin Cancer Res. 2011 Feb 15;17(4):849-60. Epub 2010 Dec 3. PubMed PMID: 21131552. Customizing targeted therapies to each tumor’s molecular characteristics, instead of a “one-size-fits-all” approach by tumor type, may be more effective for some types of cancer, according to research presented today at the American Society of Clinical Oncology annual meeting by the M.D. Anderson Cancer Center. In patients with end-stage disease, matched patients achieved a 27% response rate, versus 5% in those unmatched. Customizing targeted therapies to each tumor’s molecular characteristics, instead of a “one-size-fits-all approach” by tumor type, may be more effective for some types of cancer, according to research conducted by The University of Texas M.D. Anderson Cancer Center. M.D. Anderson’s phase I clinical study findings were presented today on the opening press program of the 47th Annual Meeting of the American Society of Clinical Oncology. Apostolia-Maria Tsimberidou, M.D., Ph.D., associate professor in the M.D. Anderson Department of Investigational Cancer Therapeutics, and the principal investigator of the study, presented the data. Marking the largest scale on which this approach has been examined to date, the study analyzed the results of matching targeted therapies with specific gene mutations in patients. The data indicated that this strategy was associated with higher rates of response, survival and failure-free survival than observed in non-matched patients. “This preliminary study strongly suggests that molecular analysis is needed to use the right drug for the right patient. Up to this point, we have treated tumor types, but this study shows we cannot treat all patients with a tumor type the same way. We need to take into consideration a number of factors, and this study suggests that a personalized approach is needed to improve clinical outcomes for patients with cancer,” said Tsimberidou. 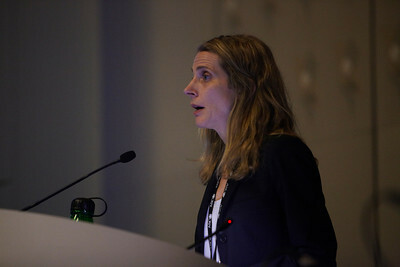 The identification of pathways involved in carcinogenesis, metastasis and drug resistance; new technologies enabling tumor molecular analysis; and the discovery of targeted therapies have stimulated research focusing on the use of targeted agents as part of a personalized medicine approach, she said. Patients with gene aberrations were treated on clinical trials with matched targeted agents, when available. Regimens included one or more therapies targeting PIK3CA, mTOR, BRAF, MEK, multikinases, KIT or EGFR. Outcomes of patients with gene aberrations treated with matched therapy were compared with those patients with gene aberrations who were not treated with matched therapy because of issues such as eligibility, study availability; insurance coverage and/or logistical problems with the study calendar. For the 175 patients with one aberration, the response rate was 27 percent with matched targeted therapy. The response rate was 5 percent in 116 patients when treated with non-matched therapy. Patients who received matched targeted therapy had median survival of 13.4 months, while median survival for patients treated with unmatched targeted therapy was nine months. Median failure-free survival in patients who received matched targeted therapy was 5.2 months, compared to 2.2 months for patients who received unmatched targeted therapy. These preliminary results merit further investigation and confirmatory, prospective studies are needed, especially because the study was not a randomized study and therefore biases could influence the results. “M.D. Anderson’s goal is to better understand the biology involved in each patient’s carcinogenesis by testing each tumor for genetic abnormalities driving tumor growth to guide treatment selection. This strategy will lead to the optimization of personalized therapy,” Tsimberidou said. Another goal is to match targeted therapies to patients earlier in treatment. The M.D. Anderson’s Phase I program is the largest of its kind and accounts for the majority – but not all – of the institution’s earliest clinical studies. In 2010, of the 11,000 patients who participated in M.D. Anderson clinical trials, more than 1,150 were enrolled in one of the 120 Phase I trials in the program. Currently, tumors are tested for up to 12 molecular aberrations, but at the rate technology is rapidly advancing, Kurzrock expects that number to climb to more than 100 in the near future. Patients treated in the Phase I Program are typically very ill and all other approved therapies have failed them. Yet they are “fighters” who are willing to try anything, including studies not specific to their diagnosis to test the effectiveness of a new drug, drug combination or delivery method, said Kurzrock. In addition to Tsimberidou and Kurzrock, other authors on the all-M.D. Anderson study included N. G. Iskander, David S. Hong, M.D., Jennifer J. Wheler, M.D., Siqing Fu, M.D., Ph.D., Sarina A. Piha-Paul, M.D., Aung Naing, M.D., Gerald Falchook, Filip Janku, M.D., Ph.D., all assistant professors of the Department of Investigational Cancer Therapeutics; Raja Luthra, Ph.D., professor, Department of Hematopathology, Research and Sijin Wen, Ph.D., Division of Quantitative Sciences. It is wonderful that various medical research institutions, including M.D. Anderson, are beginning to match targeted therapies to a patient’s specific molecular tumor characteristics. This approach is generally referred to as “molecular profiling,” and it represents one promising method of matching an individual cancer patient to an effective therapy. As noted in the related Libby’s H*O*P*E*™ postings set forth below, there are several medical and scientific institutions which are pursuing development of molecular profiling for clinical study use. In the most recent related posting listed below, we discuss the molecular profile testing that is commercially available through The Clearity Foundation and Caris Life Sciences. In the future, it may be helpful to use a form of chemosensitivity testing (e.g., the type of testing provided by Precision Therapeutics, Rational Therapeutics, and the Weisenthal Cancer Group), which is based upon the measurement of actual cancer cell death, as a second method to match a cancer patient to a potential drug or drug combination within the context of a clinical study. 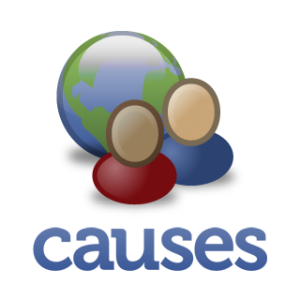 In fact, we would like to see a future prospective, randomized ovarian cancer clinical trial in which enrolled women are provided with treatment after assignment to one of three clinical trial arms: (i) treatment based upon the standard of care (e.g., paclitaxel and carboplatin), (ii) treatment based upon molecular profiling, or (iii) treatment based upon chemosensitivity testing. This type of study may uncover additional ovarian cancer treatment insights (both molecular and functional) with respect to the most lethal gynecologic cancer, while ultimately helping women with forms of the disease that may not possess a known molecular characteristic that is potentially “targetable” by an existing clinical trial drug or compound. This combination of “bottom-up” scientific research (i.e., molecular profiling) performed side-by-side with “top-down” research (i.e., chemosensitivity testing) may represent an effective and efficient approach — albeit provocative — for evaluation of optimal personalized ovarian cancer treatment. It is important to note that Libby’s H*O*P*E*™ and its founder Paul Cacciatore do not receive financial renumeration or benefit of any kind from the companies referred to in the paragraphs above. The University of Texas M.D. Anderson Cancer Center in Houston ranks as one of the world’s most respected centers focused on cancer patient care, research, education and prevention. MD Anderson is one of only 40 comprehensive cancer centers designated by the National Cancer Institute. For seven of the past nine years, including 2010, M.D. Anderson has ranked No. 1 in cancer care in “America’s Best Hospitals,” a survey published annually in U.S. News & World Report. Tsimberidou, AM, Iskander, NG, Hong DS, et. al. Personalized medicine in a phase I clinical trials program: The M. D. Anderson Cancer Center Initiative. J Clin Oncol 29: 2011 (suppl; abstr CRA2500). Matching targeted therapies to tumor’s specific gene mutations key to personalized cancer treatment, Press Release, University of Texas M. D. Anderson Cancer Center, June 3, 2011. Personalized Therapy Benefits Late-Stage Cancer Patients in Clinical Trial, Cancerwise Blog, University of Texas M. D. Anderson Cancer Center, June 3, 2011. Stephen B, Wheler JJ, Tsimberidou AM, et. al. Survival of 1,181 patients in a phase I clinic: The University of Texas M. D. Anderson Cancer Center experience. J Clin Oncol 29: 2011 (suppl; abstr 2528). El-Osta HE, Falchook GS, Tsimberidou AM, et. al. Clinical characterstics and outcomes of patients with BRAF-mutant advanced cancer in a phase I clinic: The University of Texas M. D. Anderson Cancer Center experience. J Clin Oncol 29: 2011 (suppl; abstr 10535). Janku F, Garrido-Laguna I, Wheler JJ, et. al. Screening for PIK3CA mutations, PTEN loss, and RAS/RAF mutations in early-phase protocols with PI3K/mTOR pathway inhibitors. J Clin Oncol 29: 2011 (suppl; abstr 10507). Sun M, Falchook GS, Wheler JJ, et. al. Association of VEGF single-nucleotide polymorphisms (SNPs) with response and toxicity in patients treated with bevacizumab. J Clin Oncol 29: 2011 (suppl; abstr e13560). Fok J, Kurzrock R, Tsimberidou AM, et. al. An umbrella protocol for histology-independent, phase I modular study based on EGFR mutation status: Using erlotinib alone or in combination with cetuximab, bortezomib, or dasatinib to overcome resistance. J Clin Oncol 29: 2011 (suppl; abstr 2536). Caris Life Sciences Launches Molecular Profiling Service For Ovarian Cancer Patients, January 14, 2011. Dana-Farber Researchers “OncoMap” The Way To Personalized Treatment For Ovarian Cancer, November 16, 2010. Largest Study Matching Genomes To Potential Anticancer Treatments Releases Initial Results, August 3, 2010. PI3K Pathway: A Potential Ovarian Cancer Therapeutic Target? November 20, 2009. Personalized Medicine Helps Breast, Colorectal & Ovarian Cancer Patients Survive, August 20, 2009. Massachusetts General Hospital Cancer Center To Genetically Profile All Patient Tumors, March 14, 2009.